Learn to implement your SEO strategy step-by-step in 2019. Optimizing your website for search requires adding relevant keywords to specific elements of your site. 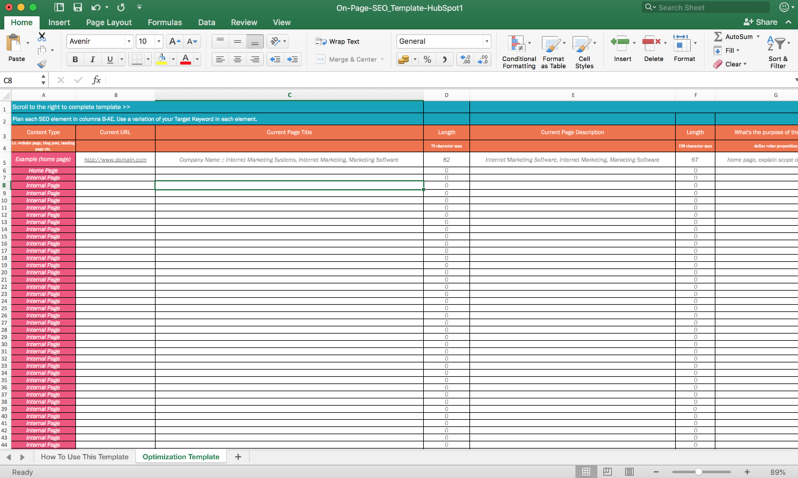 To help you easily track these on-page SEO elements, download this free template. This template allows you to plan HubSpot's SEO in advance, so you can either implement your strategy step-by-step, or hand it off to your webmaster to execute easily. We've also included a guide that shows you how to use each section of the template, highlighting nuances and giving you tips for maximum productivity.